Would you like to improve your leadership and influence skills so that you can be better at guiding, motivating and building a team? 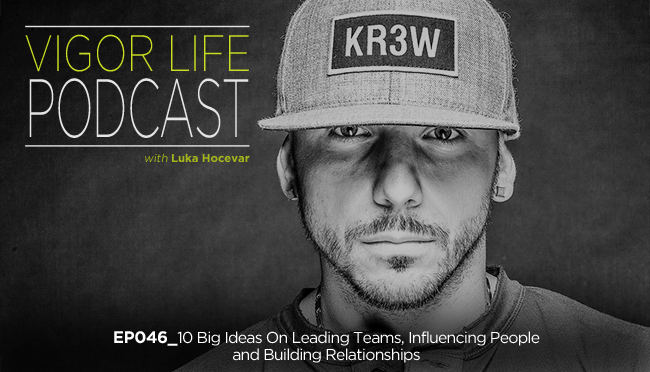 In this episode I talk about the 10 big ideas that are the foundation to success in a position of leadership and influence. I’ve devoted a lot of time to learning how to become the best leader possible in the last 5 years – hiring coaches, reading 100’s of books and taking countless courses. Here are some of the most important things that I have learned that you must apply to win friends, influence people and lead successful teams. This entry was posted in Podcasts and tagged Business, Coaching, Entrepreneurship, Fitness Business, Goals, Happiness, Life, Mindset, Multi-Tasking, Personal Development, Podcast, Self Development, Self Help, Success, VigorLife. Bookmark the permalink.